Souls come forth on Earth to execute the work of their ancestors - The Egyptian Book of the Dead. 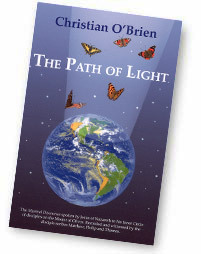 Jesus of Nazereth - Teachings of the Master - The Path of Light, p. 222. I revealed this everlasting yoga to Vivasvan, the sun, the father of light. He in turn revealed it to Manu his son, the father of man. And Manu taught his son, King Ikshvaku, the saint - Then it was taught from father to son in the line of kings who were saints; but in the revolutions of times immemorial this doctrine was forgotten by men. I have been born many times, Arjuna, and many times hast thou been born. But I remember my past lives, and thou has forgotten thine - Krishna - Bhagavad Gita - Ch. 4, Verses 1, 2 and 5. Without freedom of will, there is no humanity; freedom of conscience is both the birth and breath of manhood; the essence of the soul is will - Basic Druidic doctrine. It is not possible to comprehend these mysteries of creation till we have crossed the frontiers of mind and maya (the two lower spiritual regions), and one should leave them alone - Yes souls who are permanent denizens of these regions (the two lower ones) sometimes incarnate themselves in this world in accordance with the scheme of creation and, after doing their work, go back to their place - Huzur Maharaj Charan Singh Ji - Light on Sant Mat - p. 357 - Sant Mat is not a religion. The aim is free thinking and direct contact with God through meditation. I know. - Carl G. Jung was a leading Gnostic scholar. He wrote Seven Sermons to the Dead, using the name of the great Gnostic teacher Basilides. What the Gnostic documents reveal to us is the spiritual attitude of those who were the most tragically sensitive to the problems of human destiny - Whence do I come? - Who am I? - What is this material world? - Where shall I go after the end of this life? - Jean Doresse in the introduction of his book The Secret Books of the Egyptian Gnostics.